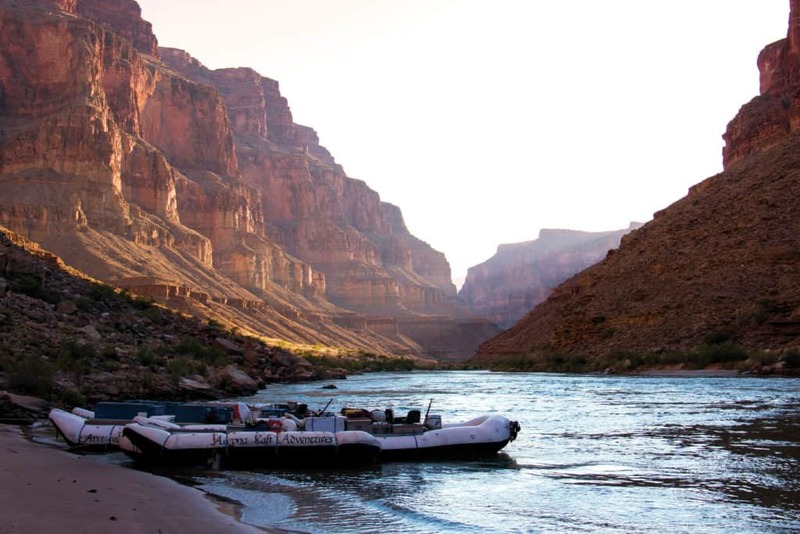 Our Motor Adventure is a wonderful way to experience the full, 226 river miles of the Colorado River through Grand Canyon on an 8 or 10 day trip (depending on time of year). Our motor Grand Canyon adventures maximize your amount of time in Grand Canyon National Park by starting at Lee’s Ferry (river mile 0) and ending at Diamond Creek* (river mile 226). The motorized rafts are 35 feet long and 15 feet wide, and offer an exciting whitewater experience through the rapids in a sturdy and stable design. We have pioneered the use of small, four-stroke outboard engines, specifically designed to minimize noise output, save fuel and reduce emissions. Most of our Motor Adventures are comprised of two boats with a maximum of 24 or 25 guests. Each season, we designate a few one boat motor adventures, which are comprised of 13-15 guests. Regardless of which option you choose, our overall group sizes are smaller than most other motor outfitters. 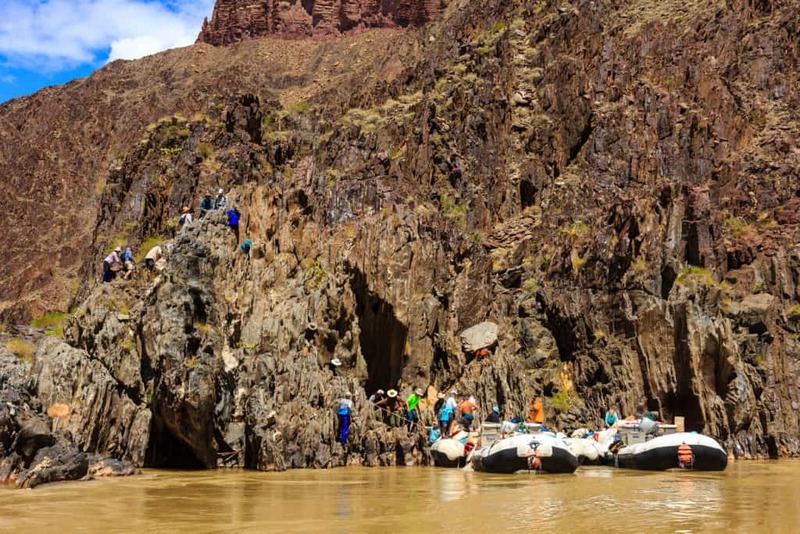 The Motor Adventure is a great expedition choice for those guests who seek the sense of security and comfort of a larger raft, all while experiencing the adventure of a Grand Canyon whitewater and hiking adventure. It’s also an ideal choice for individuals and/or groups with a wide range of skill levels, abilities and interests. Guests of all levels of rafting experience are welcome on the Motor Grand Canyon Adventure. We find this to be the expedition of choice for multi-generation families, as our minimum age is 10 years. The pace of the trip also allows for time to adjust to group needs, and your guides will try their best to cater the trip to the group’s wishes and abilities. All of our adventures feature and focus on hiking—whether it be to side streams, slot canyons, to archaeological sites or waterfalls, you’re sure to see some gorgeous sites and views on your Motor Adventure. *Diamond Creek, a dirt road alongside Diamond Creek Wash, is the only road to the bottom of Grand Canyon and could become impassible due to severe flooding. Although this is rare, it is possible that trips may need to continue to Pearce Ferry Road at river mile 279 and could cause our expeditions to return to Flagstaff very late in the evening. Friends of mine said they wouldn’t do a motorized trip because they thought paddling was the only way to go. They missed out on a wonderful trip! This was the best type of trip for me, and I was reassured of my decision to take the motor trip when I saw the oar and paddle trips on the river.